Your Hosts, Butch Porter , Karen Jennelle, and Producer Allan Poteshman, Interview Key Public Servants and Political, Public Policy, Business, and Educational Experts from some of the country's best conservative think tanks. Lets talk about what we need to do to rescue our country. 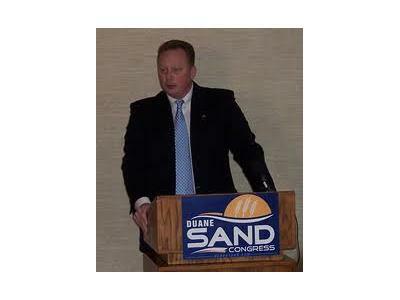 10:00 PM Special Guest Duane Sand of Bismarck, ND will discuss his Congressional Campaign against Congressman Rick Berg. He will also discuss overall concerns regarding the Debt Ceiling Bill and How the Public should plan to investment and create jobs, Assess President Barack Obama’s Health Insurance Reform and its impact on the people of North Dakota and the United States and Assess Obama’s Economic and Energy Policies and their impact on the people of North Dakota and the United States.